Get a good heating system to cut out the need for furnace service Spring TX. If you are shopping for a heating and cooling system, you know that it is not the easiest of things. It is also one of the costliest investments any family makes. Regardless, everyone knows how important it is to have an HVAC system at home. Whether buying one for a new home or upgrading, the last thing you want is to get anything short of a quality system. Price factors in most purchasing decisions. With a heating system, you want to worry most about the bigger picture. What HVAC size do you need? What about energy efficiency? Should warranty factor in your decision-making process? This furnace buying guide should make the process easier. Houston Admiral is a heating installation company also offering maintenance and repair services. Get them on the phone at 281-876-9400. Visit https://goadmiral.com for more about their heating services. Buying HVAC Systems What Should You Look heaters? Getting a heating system for your home is not a one-size fit all type of thing. Several factors play a role in making that crucial decision on settling for the right one. It means taking the time to map out your heating needs and finding a heater that fits the bill. The standard HVAC system comes with a 15 to 20-year shelf life. Heating contractors in Spring, TX specialize in the installation of particular major brands. 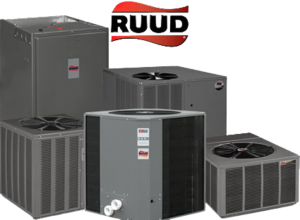 For instance, Houston Admiral specializes in RUUD systems. The heating systems company offer furnace installation services. Reach them on the phone at 281-876-9400. The size of an HVAC and its suitability for your home is the main aspect that guides the selection process. Size factors into the ability of a heating system to fit into existing ducting in the case of upgrades. In a new home, the size factors into the heating system design. Poor design compromises on the system’s ability to deliver consistent temperatures. It also drives up operating costs. You need the help of furnace contractors with the heating system selection process. The right one can provide an assessment based on your needs and help you find the right heater. 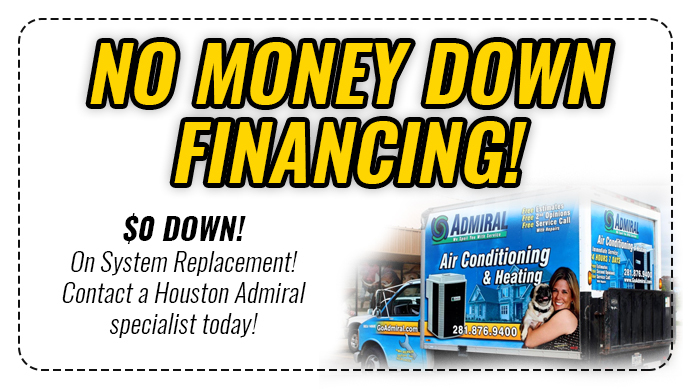 Houston Admiral is the company you need to help with your heating buying process. Contact them on their website https://goadmiral.com. A heating system works by drawing in cold air into the furnace and heating it up. After the heating up of the cold air, it gets released back to warm up the home. The process of installing larger heating in Spring, Tx homes makes use of duct work. The duct work design requires precision for the delivery of thermal comfort. The installation of duct work should follow code specifications. The design should also factor in room heat loss and gain calculations. The duct work must go through testing to ensure tightness and proper insulation. The testing checks for the R-value which should meet the recommended levels in your area. With proper ducting systems, you get quality comfort air conditioning and heating at home. The correct design of the duct system also ensures adequate air flow. The appropriate fitting reduces air leaks which enhance energy efficiency. It also means that you call in the heating contractors fewer times for repairs. Houston Admiral offers heating system installation services. Reach them on their website https://goadmiral.com or call them on the phone at 281-876-9400. Where should your furnace go for to offer the most efficiency? It all goes back to the size of the heating unit you get with regards to the size of your home. In bigger homes, the attic, basement, or a utility closet accommodates the furnace. Larger homes make use of ducting systems to distribute heat throughout the home. Larger homes have space and can accommodate different heating system designs. The whole idea is settling for what works best for the home. Most smaller homes make use of ductless systems. The systems feature outdoor units connected to indoor mounted units. The system delivers reliable heating like what bigger homes get from ducted systems. Homeowners battle with rising energy costs and heating system contribute to it. Several things can help to bring down energy costs. It starts with buying an energy efficient heating system. The energy efficiency rating of a heating system gets measured in AFUE terms. It refers to the annual amount of gas a furnace uses to warm up your home. Heating systems with a higher AFUE rating burn fuel much better to convert it to the needed heat. Furnaces display the AFUE rating to help buyers make the right buying decision. There are furnaces available with 98% ratings. The Texas area requires the heater to meet at least a 95% efficiency rating. With use, heating systems begin to lose their effectiveness. The only way to keep them working at their full efficiency is with regular maintenance. Once you have a heating and cooling system, you need the services of a professional to get it installed. It is worth noting that heating professionals specialize in working with particular furnace brands. Look for a contractor who can handle installing your particular heating brand. Think long term when getting a contractor for heating repair service. A furnace breaks down or suffers from some failures. You will stick with a reliable heating systems company for all your furnace needs. The company you want handling your heating system is Houston Admiral. 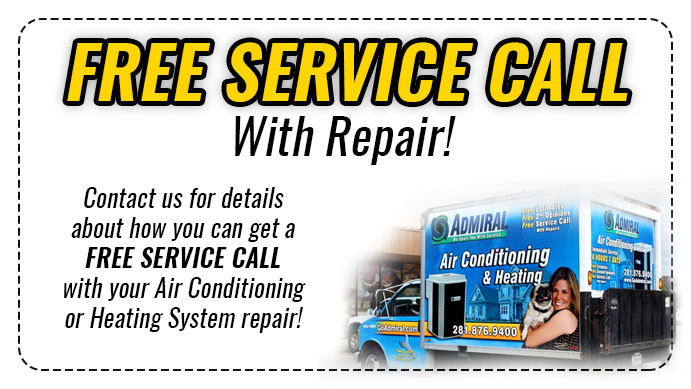 Give them a call at 281-876-9400 or get in touch through their website https://goadmiral.com. Maintain a running furnace with the right contractor for a furnace tune up Spring TX. Spring, TX has an estimated 56,369 people living in the CDP. Settling in Spring, TX offers diverse opportunities for anyone considering it. Spring ranks highly as one of the most diverse Texan suburbs. It also ranks high as one of the best places suburbs for millennials. The median home value in Spring is $115,000 with a median rent amount of $1,225.